Hayes' results are coming - The Point Data-driven hockey storytelling that gets right to the point. On February 8th, 2018, New York Rangers management announced a rebuild and proceeded to ship out a number of players at the trade deadline. The rebuild continues with the Rangers sitting in the basement of the Metropolitan division, looking like they just might be sellers once again. 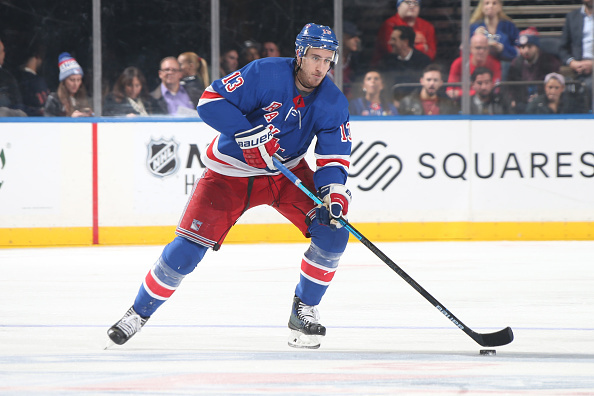 A prime candidate to be dealt is Kevin Hayes. Hayes is off to a tough start this season with only 4 points in his first 12 games but his underlying numbers show a bounce back should be expected. He’s possessing the puck more than any forward on the team and when he has the puck he’s creating plenty of offense. He transitions the puck more than any Rangers forwards, leading all in zone exits and entries. Once in the zone, Hayes has the most scoring chances on the team. When you’re getting as many good looks as Hayes is, results are usually not far behind. 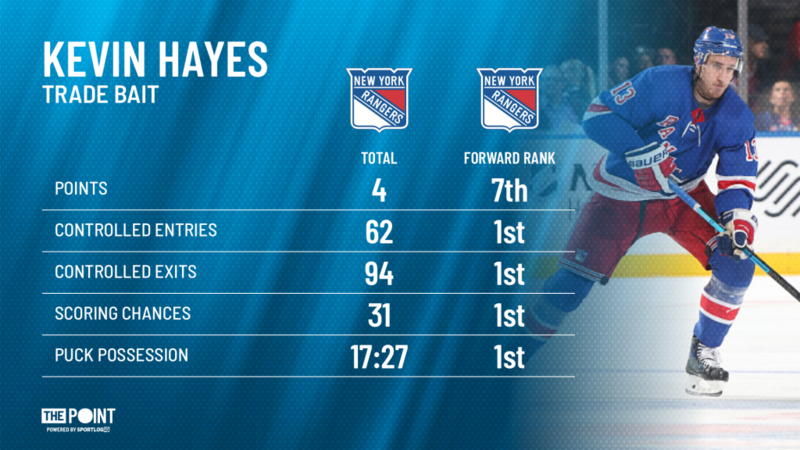 On the defensive side of things, Hayes leads all Rangers forwards in blocked passes and ranks 2nd in stick checks. Being able to use his big body and long stick to separate his opponents from the puck and transition quickly to offense makes him a dangerous player any time he’s on the ice. 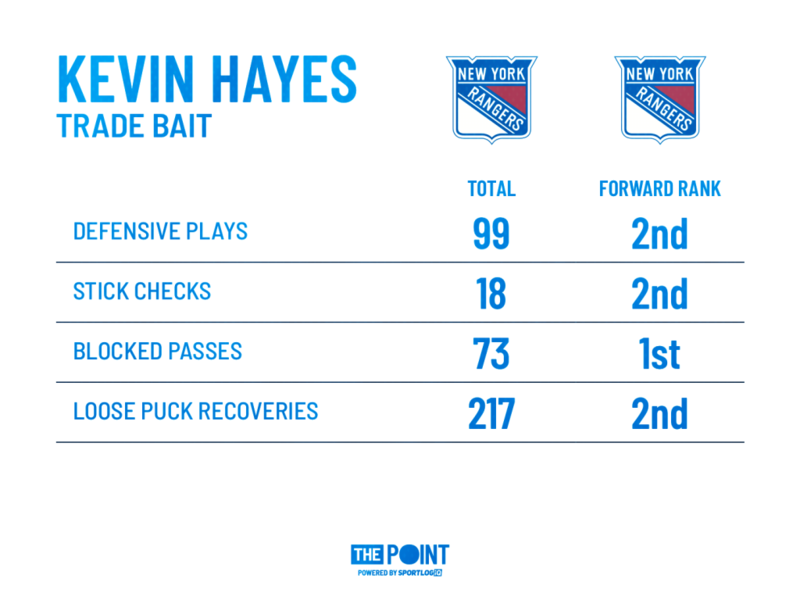 When the results start to mirror the process, Hayes’ trade value should improve and the Rangers will have to think long and hard about whether or not it’s time to part ways with him. Hayes is a big young centreman, always a hot commodity around the league, so giving him up for assets is tempting but he’s not easily replaced.